Texas' Oak Point Park is a large area to uncover. So, if you’re wondering where to begin your journey, there’s no better vantage point than from the treetops on our zipline course in Plano, Texas! Texas' Oak Point Park is a large area to uncover. So, if you’re wondering where to begin your journey, there’s no better vantage point than from the treetops! This Texas zipline and canopy tour is the perfect combination of picturesque views of the woodlands with a rip-roaring adventure with over 38 thrilling crossings! 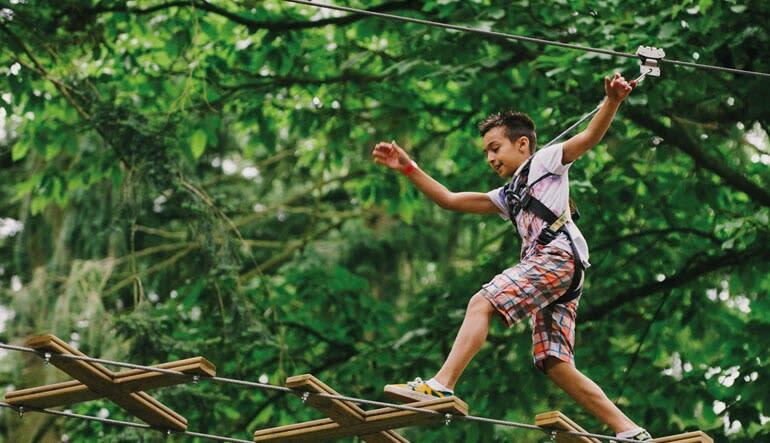 Once harnessed in, you’ll travel treetop to treetop, conquer 5 different ziplines, traverse rickety bridges and likely get a glimpse of the vibrant wildlife! Enjoy a 2 to 3 hour zipline and canopy tour in Texas' Oak Point Park! Start with a quick safety instruction and training session. Traverse 38 crossings from high up in the trees. 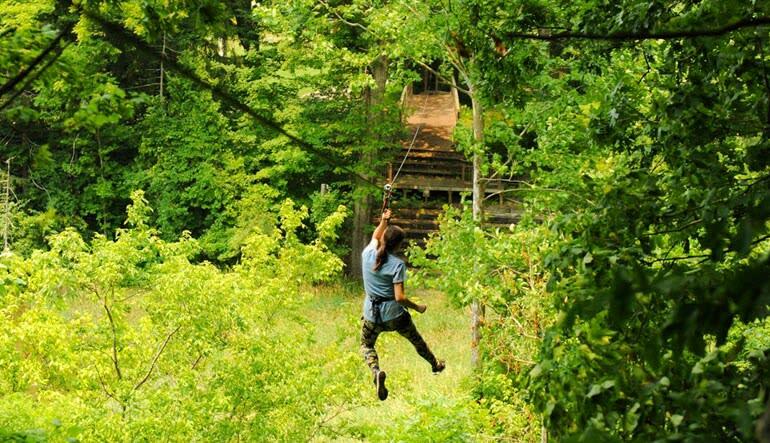 Glide through the woods on 5 thrilling ziplines! Practice your agility while crossing suspended bridges. 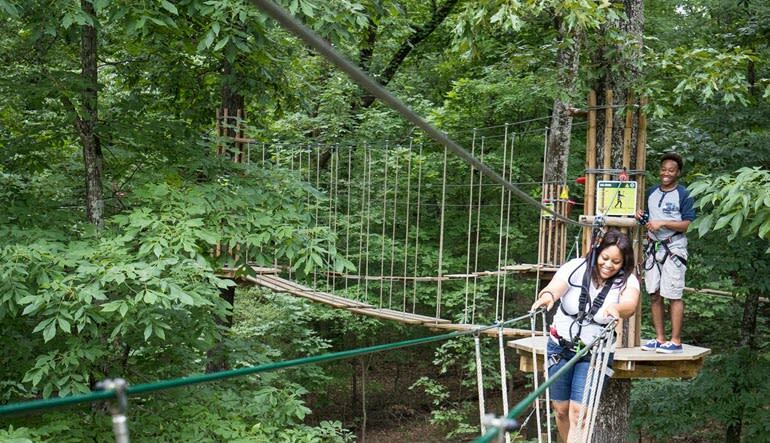 Plano, Texas' treetop excursion remains one of the best in the nation. Bond with family and friends as you climb, swing, balance and zip along this incredibly beautiful outdoor setting! Ton’s of Fun!! My sister and I are early 50’s and we had a blast! Memories we will have forever!! Take pictures and video along the way!! My niece and I are both in our 60"s and were not sure what to expect. Our guide "Chase" was very knowledgeable, patient and encouraging which made our experience great. I would recommend this for anybody. I would do it again and probably will do it again. It leaves you with a feeling of accomplishment.